Cadillac CT6 isn't dead for U.S. The CT6 was included in a November announcement by GM that it plans to end production of six cars this year at North American plants. Editor's note: The CT6 is scheduled to end production on June 1 at the Detroit-Hamtramck assembly plant. An earlier version of this story misstated when the plant would stop producing the sedan. DETROIT -- General Motors plans to keep the CT6 sedan in Cadillac's U.S. lineup, despite the potential closure of the domestic plant that produces the sedan. GM President Mark Reuss and Cadillac President Steve Carlisle on Monday said the company is evaluating options to keep the brand's flagship sedan for sale in the U.S. following its scheduled end of production on June 1 at Detroit-Hamtramck Assembly. 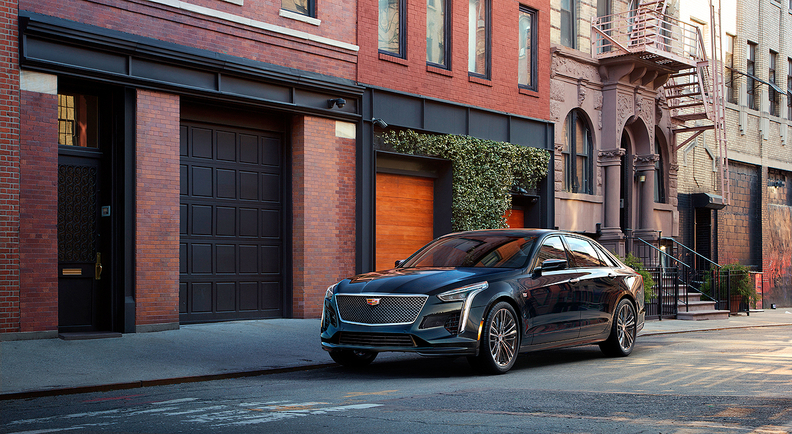 Blackwing is the name for Cadillac's new 550-hp V-8 in the CT6-V, which will scheduled to arrive in mid-2019 starting at $89,785, including delivery. Other GM vehicles that were scheduled to end production this year are the Buick LaCrosse, Cadillac XTS and Chevrolet Cruze, Impala and Volt. A GM spokesman confirmed those models will still be discontinued for the U.S.